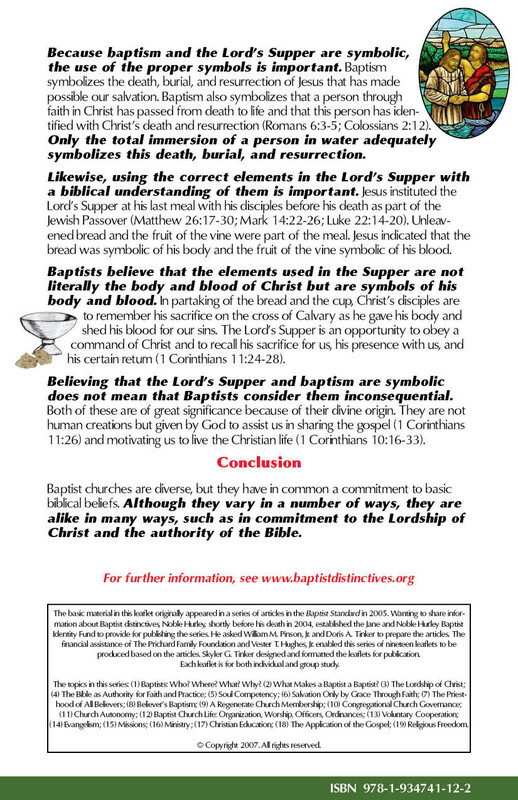 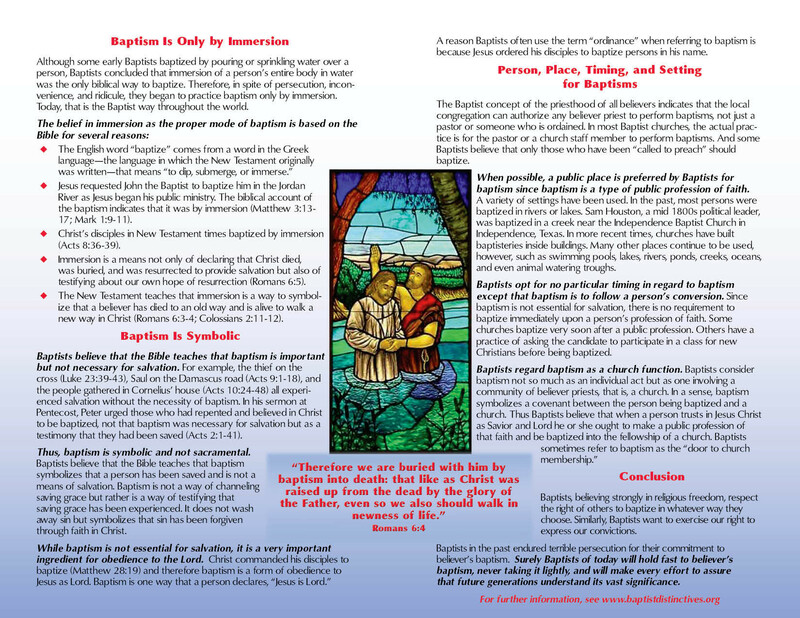 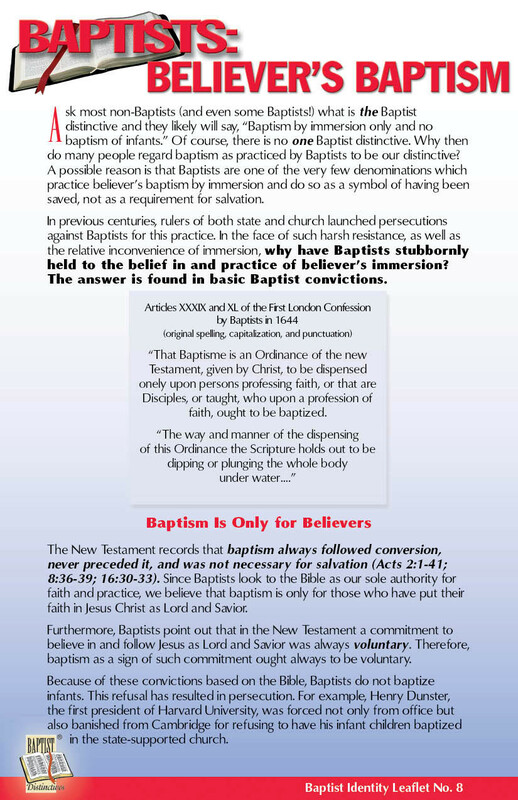 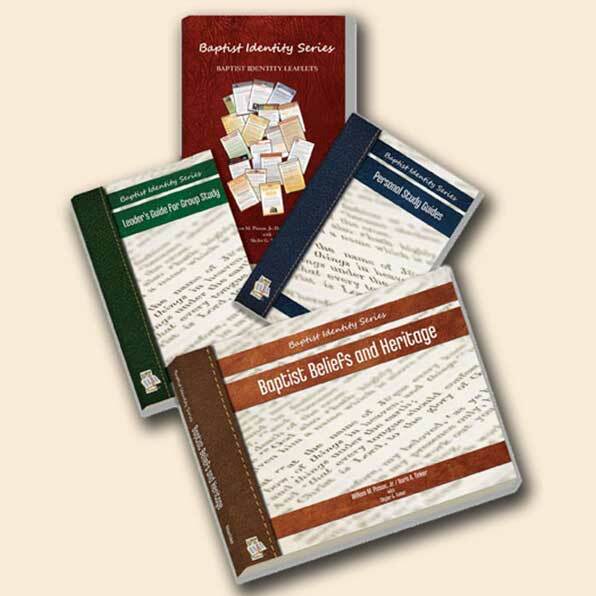 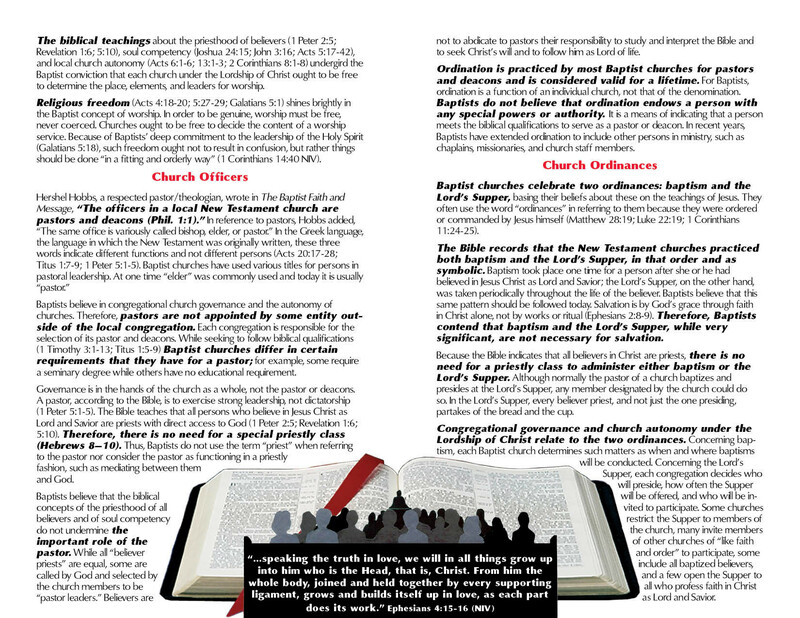 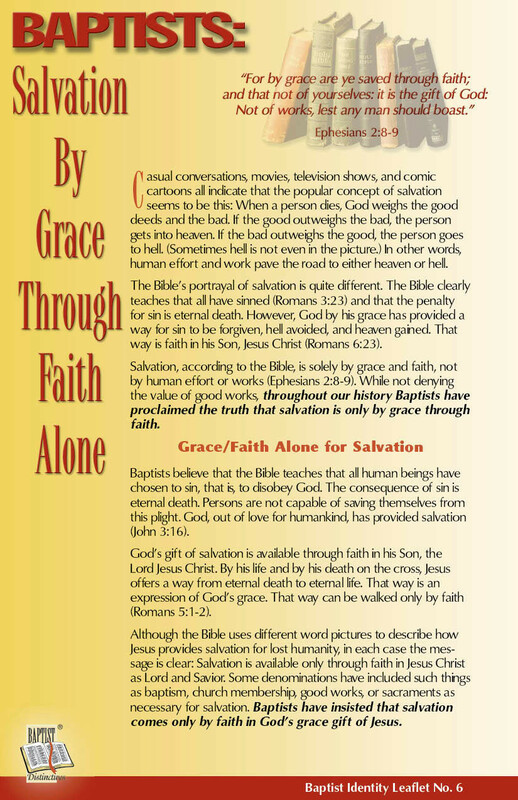 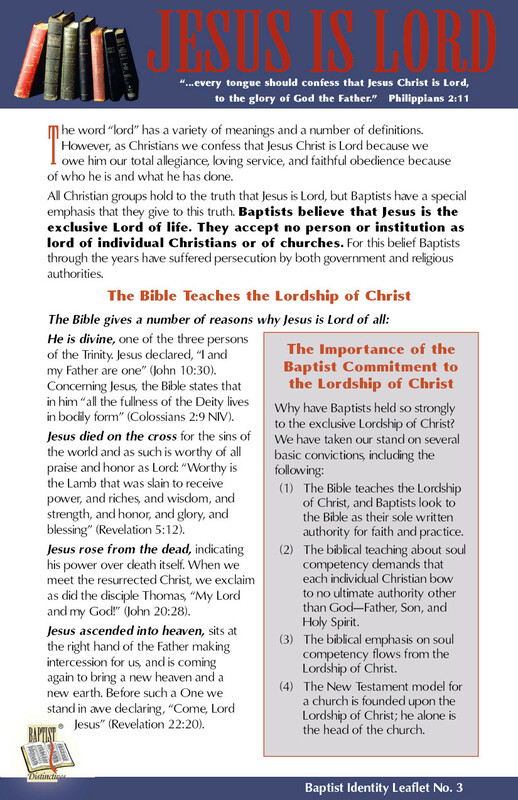 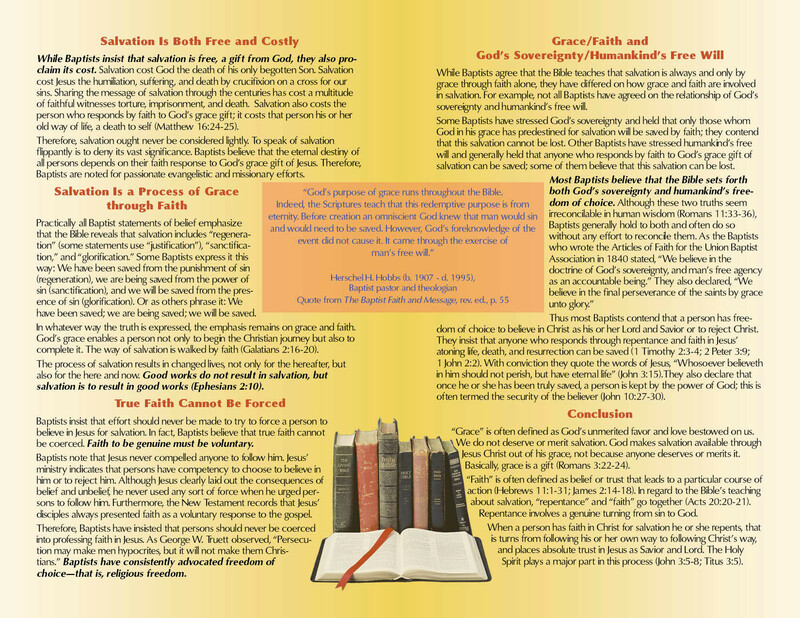 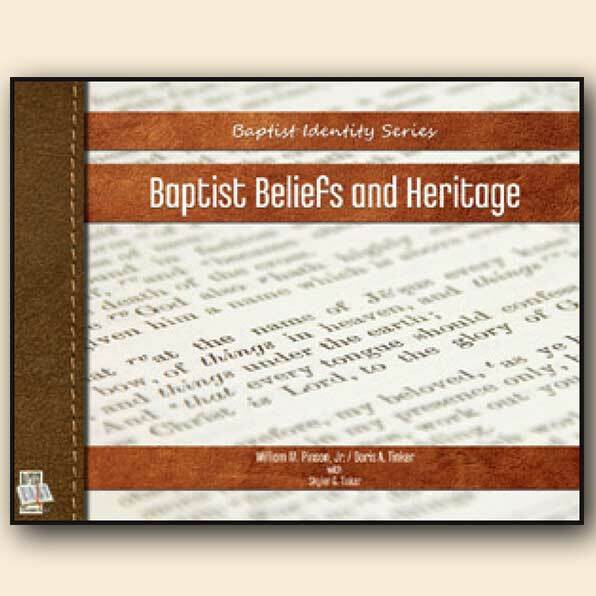 Baptist Beliefs and Heritage book, a 120-page 11 x 8.5 book, is the core of the Series. 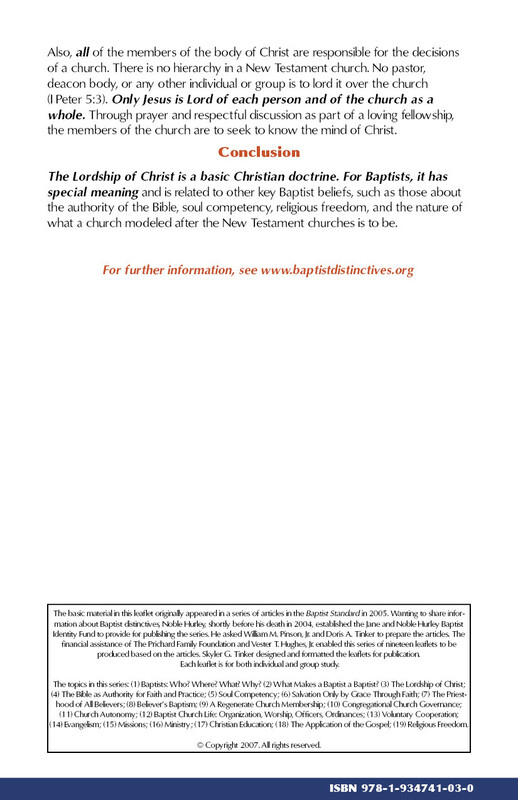 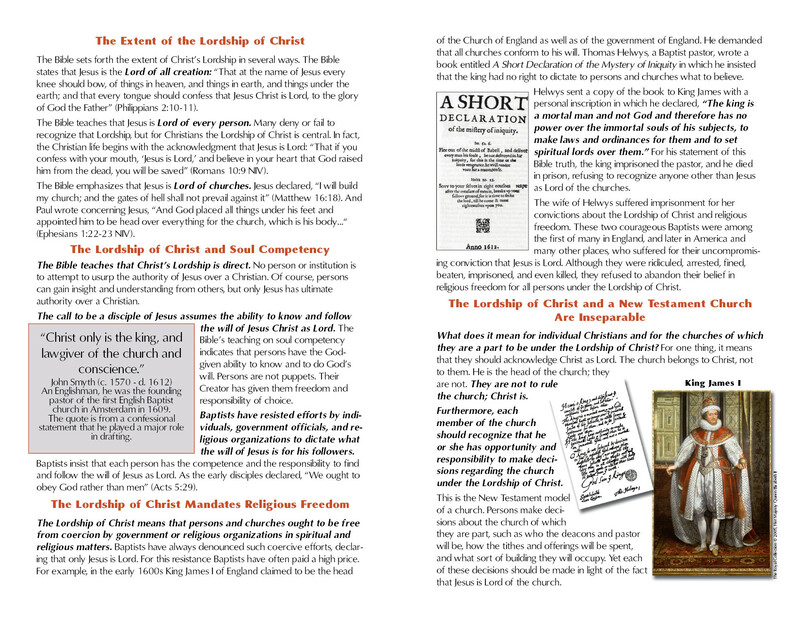 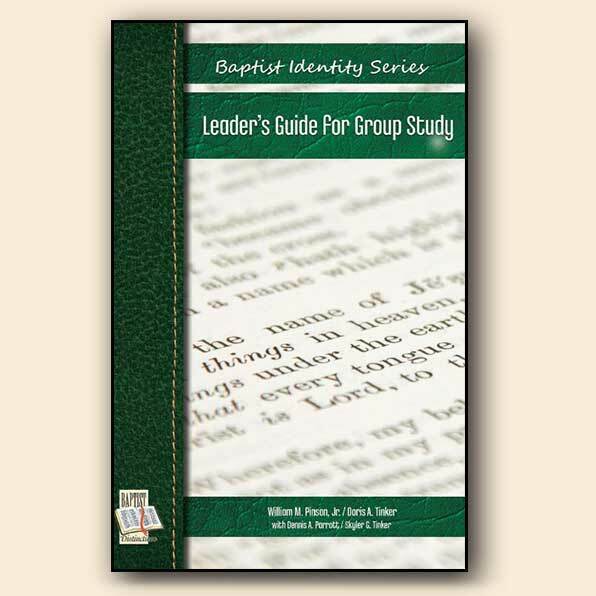 It contains the nineteen Baptist Identity Leaflets, a brief summary of Baptist history, biographical sketches of several Baptist leaders, insights on key words and terms in the Series, historical vignettes, and pertinent information on each of the nineteen topics dealt with in the Baptist Identity Leaflets. 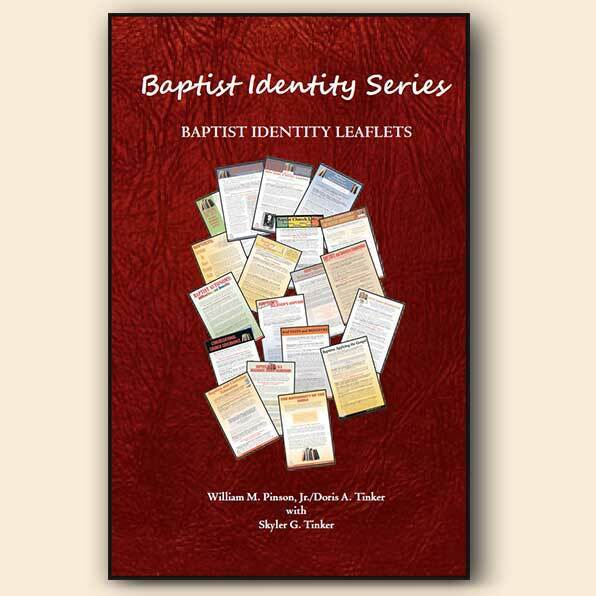 The book is helpful to anyone wishing to learn about Baptist identity, but it is especially designed for use by persons studying the Baptist Identity Leaflets, either as an individual or as part of a group. 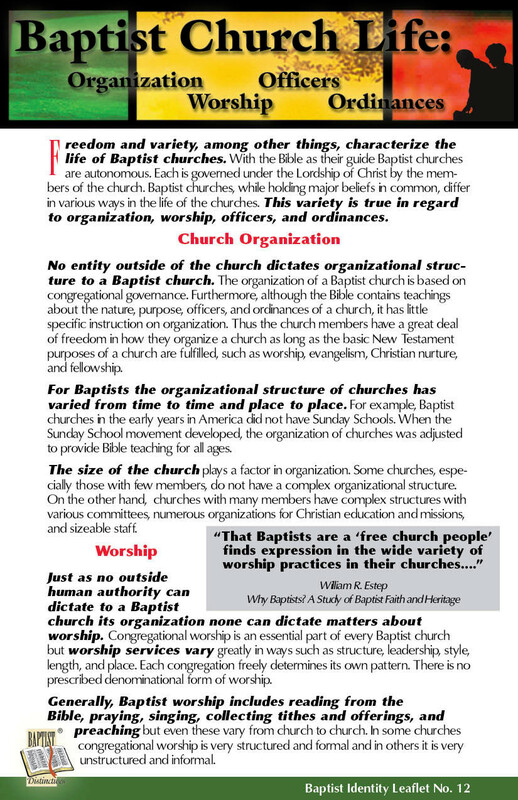 The book would be an ideal gift to a new church member or to someone interested in becoming a member of a Baptist church.